If you need to have your Roland, BOSS or Edirol product serviced, you have two options. You can use our Service Center Locator to locate an authorized Service Center in your area, or you can send the unit directly to our factory in Los Angeles. If you'd like to order parts or send your product to our service department in Los Angeles for repair, please call our Customer Service department at 323-890-3700. Customer Service is open Monday through Friday, 8:30am to 5pm Pacific Standard Time. Boss products are covered by a one (1) year parts, ninety (90) day labor warranty. For full information, please visit this link. In the unlikely event you have a problem with a Dream cymbal or gong, contact the dealer you bought it from for instructions on replacement. In most cases, you will be responsible for sending it back to us for a quality check and we will be pleased to replace it. We will be responsible to send the replacement to you or your dealer . Sometimes a cymbal will fail not from a defect but from shall we say "rather agressive playing techniques" . This decision will rest with the Dream cymbal representative and is subject to inspection by Dream Cymbals and Gongs prior to replacement approval. Drum Workshop, Inc. warrants that DW drum shells and finishes (Collector’s Series, Classics Series and Jazz Series) are free of material and workmanship defects for a period of two (2) years from the original date of purchase. All drum hardware is covered for a period of one (1) year. Drum Workshop will repair or replace any defective components free of charge with comparable or functionally equivalent parts to the original purchaser upon delivery of the product to an authorized DW Drums dealer. Said defective component/s will become the property of Drum Workshop. Proof of purchase and status as the original purchaser are required for warranty coverage. For full warranty information, please visit this link. For a period of five years from the date of purchase, Drum Workshop, Inc. guarantees the original owner, when presented with proof of purchase, that all 9000, 5000 and 7000 Series Bass Drum Pedal cast parts are free of material and manufacturing defects. This warranty is limited to cast parts only; such as the base casting, footboard, beater hub, sprocket, heel and cam casting. This warranty does not include moving parts; such as the spring assembly, beater ball, radius rod, hex shaft, ball bearings, etc. If under normal playing conditions parts covered in this limited five year warranty fail, they will be replaced at no charge. Return the pedal to your authorized DW dealer or, if there is not a dealer in your area, contact DW direct. DO NOT send pedal to DW without first receiving a Return Authorization Number. Shipping charges to DW will be paid by the consumer. DW’s maximum liability pursuant to this warranty is limited to the monetary value of the product that is the subject of the warranty claim. This is a summary only; please see the actual limited warranty for additional terms and conditions. For full terms, please visit this link. LP Music offers a Limited Warranty on many of their products. For a full listing of warranty items, click here. You can also contact us via phone for warranty information at 800-622-4569 (KMC Music Percussion Center direct line) or 877-KAMAN-MUSIC (Customer Service). It’s one of the best warranties in the business. 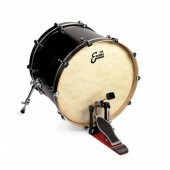 A lifetime warranty on drum shells, one year on finishes and hoops and five years on hardware. All of Mapex products are built in its ISO9001 certified factory, which means you can count on superior quality – right out of the box. MAPEX drums, hardware, stands and accessories except as noted, purchased from an authorized MAPEX dealer, are warranted to the original retail purchaser against defective material and workmanship. Warranty coverage is not transferable and shall be valid by item and subject to terms and conditions indicated below. The original retail purchaser must include a copy of their original sales receipt or provide proof of sale by an authorized MAPEX dealer to activate warranty service without charge. Drum shells are covered under a limited lifetime warranty to the original retail purchaser against splitting, ply separation, material failure and going out of round as a result of manufacturing. Defects caused as a result of wear, handling, negligence, temperature, humidity, corrosive atmosphere or other external causes are not covered under this limited lifetime warranty. Both lacquered finish and hoops and all wrapped finishes are warranted to the original retail purchaser against defective material and workmanship for one (1) year from date of purchase. Defects caused as a result of wear, handling, negligence, temperature, humidity, corrosive atmosphere or other external causes are not covered. MAPEX stands, pedals and hardware are covered under a limited five (5) year warranty to the original purchaser against defective material and workmanship. Defects caused as a result of normal wear, handling, negligence, temperature, humidity, corrosive atmosphere or other external causes are not covered under this limited five (5) year warranty. The following items are not covered under the MAPEX warranty: heads, plating, pedal beaters, springs, snares, straps, normal wear and tear, sound or damage from shipping and transportation. The MAPEX Warranty is rendered void on all items that have been altered, modified or subjected to improper operation, misuse, neglect or exposure to extreme conditions. A Warranty return should be handled by any authorized MAPEX dealer from which the instruments were purchased. All repairs under terms of this Warranty must be handled by Mapex USA. Any instrument to be returned under this Warranty requires a Return Authorization Number shown on the outside of the carton and must be shipped prepaid. Mapex USA will then inspect and evaluate the extent of warranty coverage and notify dealer of claimant. Mapex USA will repair or replace, as its option, any instrument or part thereof, found instruments will be returned freight collect. This Limited Warranty is made in lieu of all other warranties, either written or implied and is subject to the limitations, contained herein. It is extended to the original retail purchaser only and not transferable. Proof of purchase is required. Under terms of this warranty, Mapex USA accepts no responsibility for incidental or consequential damages of any nature associated with the use of MAPEX products. This warranty gives you specific legal rights and you may have other rights, which vary from state to state and could affect this warranty. Total warranty period is 12 months maximum from the original date of purchase. It is important that you keep the receipt, as it is the only record of the purchase date. If Paiste determines through inspection that the instrument does not show indications of abuse or neglect and the crack/damage/etc is a result of manufacturing discrepancy, their Limited Warranty Policy will apply and the instrument will be replaced. Dents / Dings / Nicks: Dents are obvious signs of overplaying and / or improper sticks selection. Mishandling the cymbal, such as dropping it during set up, is not covered under our warranty. Bell Hole: The center hole is distorted, (key-hole effect), or has spider cracks, indicative of worn cymbal stand sleeve and overplaying. Bell Dents: This is caused by overplaying and / or improper stick selection. Bell Breaks: This is usually caused by mounting the cymbal too tightly, thereby restricting the movement of the cymbal and causing unnecessary pressure on the bell. Circular Cuts: Area around center hole (top / bottom) is cut in a circular pattern around this mounting point. A cymbal’s warranty is voided if it has evidence of metal to metal contact. Pieces Missing: Continuing to play the cymbal after it cracks, and causing large portions to break off, prevents us from determining the cause of the crack and thereby voids your warranty. In the event that your Paiste cymbal requires warranty service, please contact your Paiste dealer. All Pro-Mark sticks and accessories are guaranteed against defects in materials and workmanship, including warpage. Our nylon tips are guaranteed not to crack, chip, break or fall off the stick. Your satisfaction is guaranteed on all Pro-Mark products! Comments or questions, call us at 713.314.1100 or via the Drummer Hotline at 877.PROMARK. Roland products (with exclusions) are covered by a one (1) year parts, ninety (90) day labor warranty. For full information, please visit this link. Does SABIAN have a warranty program? North America - All SABIAN cymbal series are guaranteed against defects in workmanship and materials for a period of 2 years from original date of purchase. A 6-Month Warranty applies to 'Solar by SABIAN'. Cymbals replaced under our North American Warranty will be shipped only to an address in the U.S. or Canada. International - Please check with your SABIAN distributor for warranty coverage outside of North America. How do I return my broken cymbal for warranty? Please allow 4-6 weeks for processing and return shipping. I also purchased an extended warranty from the Dealer with my SABIANs. 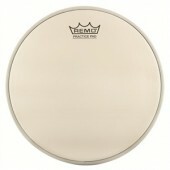 SABIAN does not offer an extended warranty, though this option is offered by some stores (possibly at an added cost). In cases where warranty service is required but the SABIAN warranty has expired and the extended warranty is still in effect, the cymbal must be returned to store which sold the extended warranty. I don't live in the USA or Canada, is there still a warranty? Warranty laws vary from country to country, so for warranty details in any country outside of North America, check with the store where you purchased the cymbal. In countries outside North America, warranty matters are administered by the local SABIAN distributor. Do I Get Warranty Coverage If I Buy My SABIAN's From Another Country? Example: I live in the UK but bought my SABIANs from a USA dealer. Because SABIAN does not have a single global warranty policy, any warranty is applicable only in the country you purchased your cymbal. For example: If you live in the UK and purchase a cymbal from the USA, your warranty is valid only in the USA, NOT in the UK. And cymbals replaced under our North American warranty will be shipped only to addresses in the US or Canada. There are several reasons for this limitation. Because of the high cost of managing and shipping, we can not expect our distributor or agent to supply replacements for products they did not handle. Also, most, if not all, counties restrict the importation of free goods (which is what a replacement cymbal would be classed as). The taxes and duties on 'free' replacement cymbals can be double or triple the original value of the cymbal itself! Some countries do not allow any 'free' goods to be shipped to a consumer. If you experience problems with a cymbal you purchased outside the country where you live, you would need to return it to the store from which you purchased it for evaluation of the problem and (possible) replacement. All shipping costs to and from would be your responsibility. Ultimately this could become very expensive, so consider this next time you see a 'great deal' from a source outside your country. Tama offers a limited warranty for all drums and hardware. Drums are covered for a period of five (5) years, hardware is covered for a period of one (1) year, and bass drum wood hoops are covered for a period of thirty (30) days, all from the time of original purchase. For full information and to fill out an online warranty request, click on this link. In every ad and on all product packaging, Vater has always had their Quality Guarantee in writing. This is something that very few companies provide. Vater guarantees their drumsticks to be straighter, more consistent and of higher quality than all other leading drumstick manufacturers. Vater's Nylon tips are guaranteed not to fall off, crack or break for the performance life span of the drumstick. 100% of Vater's drumsticks are manufactured in the USA. All Vater sticks are tone & weight matched by computer analysis. If you have a problem with your sticks, please contact Vater at 781-767-1877. Yamaha Authorized Warranties For The United States Market. Yamaha Corporation of America (“Yamaha”) is the exclusive authorized U.S. importer and distributor of Yamaha® musical instruments. Only Yamaha® products designed and manufactured for the United States meet applicable product safety standards. Only Yamaha Authorized Dealers can provide new Yamaha products with warranty coverage valid in the United States. Only Yamaha Authorized Dealers are trained to provide you with service and support before, during and after your purchase. Many retailers attempt to trade on the valuable reputation of the Yamaha name – before you buy from them, Yamaha would like you to know the potential risks of doing so. Safety Issues. Yamaha’s electronic products operate on normal alternating current. The importation, distribution and use of such products not designed for the United States can result in (a) damage to the product; (b) damage to household wiring; (c) fire; (d) loss of insurance coverage and, in some jurisdictions (e) violation of municipal ordinances. Further, any attempt to modify such products to enable them to operate on normal U.S. voltage and current may increase the above risks, and is also likely to void any non-U.S. warranty coverage as may have existed for the product. Warranty Policies. Yamaha provides warranty coverage for new Yamaha® products originally sold by Yamaha Authorized Dealers located in the United States. Check our DEALER LOCATOR for a list of U.S. Authorized Dealers. Yamaha products purchased from retailers other than Yamaha Authorized Dealers (whether via the Internet, or otherwise) will NOT be covered by Yamaha’s warranties, and U.S. service centers will not repair such products under warranty. Zildjian cymbals carry a two year warranty, from date of purchase, against manufacturing flaws. Zildjian requires that all cymbals for warranty replacement be returned to us for review. Quality is important to us and we use these opportunities to track the manufacture of the cymbal in question to ensure quality continues to improve. Please enclose a copy of your original purchase receipt with your cymbal, as this is vital to determining the warranty period. A cymbal returned without a receipt will be evaluated by the serial number on each cymbal, which tells the evaluator how old the cymbal is. A cymbal will not be replaced if it has been: misplayed, dropped, played with excessive force or treated abusively; bought second hand or used in a lease program; if it has been previously replaced by Zildjian; or if more than two years have passed since the purchase of the cymbal. Please package your broken cymbal in a clean box from your local Post Office or UPS Store. Do not use pizza boxes or anything similar. Cymbals returned in anything other than clean packing may be returned to sender unopened. Note: Customers outside of the United States must return cymbals directly to the dealer/store that they purchased them from. The store will, in turn, contact its distributor for replacement.